FE-Series: Die-mitered corner connections Die-mitered corner connection at the head and jamb insure an attractive, tight and closed mitered connection. 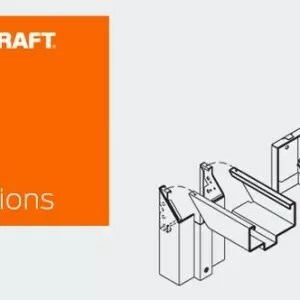 The miter includes 4 corner tabs designed with concealed connection eliminating the need for continuous profile welding. 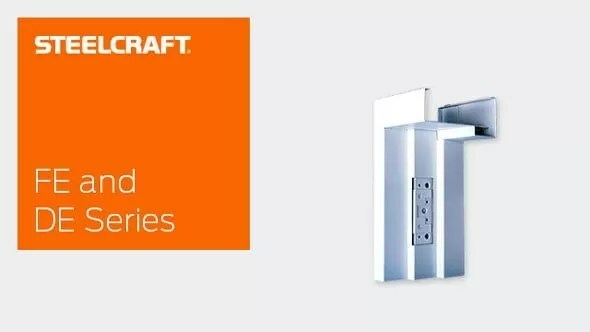 The FE-Series Double Egress Frames are designed to meet requirements for heavy to extra heavy duty applications in both commercial and institutional buildings. 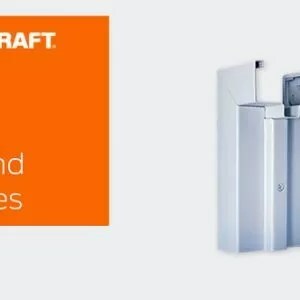 They are installed in both interior locations, and in virtually all types of buildings and wall constructions. 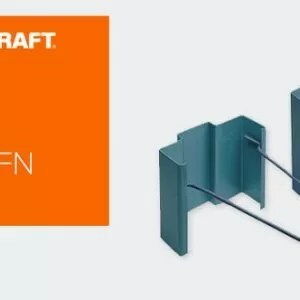 These frames can be specified and supplied as KD (knock-down) for field assembly prior to installation or welded for installation as a complete unit. If clear opening width for cross corridor applications is critical, refer to the DE-Series frame. 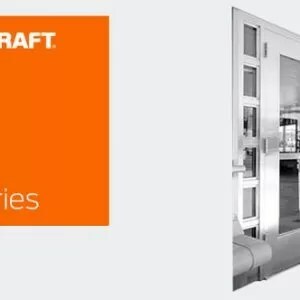 The DE-Series Double Egress Frames meet all the design parameters of conventional double egress frames and is specified when cross corridor openings have the additional requirements of maximized clear opening width. The unique design of the DE-Series frame allows for the use of swing clear hinges. This must be considered if your local building code has a minimum clear opening width requirement. Overall Double Egress Frames meet and exceed the requirements of ANSI A250.8-2003 (commonly referred to as SDI-100).